A majority of Millennials – people between the ages of 18 and 34 – worldwide support Edward Snowden, former NSA contributor, as they believe his revelations will help to bring greater privacy protections, a new poll shows. The ACLU poll, which "explored familiarity with Edward Snowden as well as attitudes about him and the impact of his actions," surveyed about 1,000 18- to 34-year-olds in 10 countries: the US, Great Britain, Canada, Australia, New Zealand, Italy, Germany, Spain, France and the Netherlands. The ACLU represents Snowden against US government efforts to prosecute him for violations of the Espionage Act. The most favorable reviews were represented by Continental Europe, in particular by Italian young people with 86 percent ‘very’ or ‘somewhat’ positive. Meanwhile in the home country of the former NSA contractor, the US, only 56 percent shared positive opinions of Snowden. "The broad support for Edward Snowden among Millennials around the world should be a message to democratic countries that change is coming," Anthony D. Romero, executive director of the ACLU, said in a released statement. "They are a generation of digital natives who don't want government agencies tracking them online or collecting data about their phone calls." At the same time, young people in each country said they believe Snowden's actions will lead to more privacy protection. Few respondents, though, said that former NSA contributor’s actions would cause more harm rather than good to their respective country’s national security. 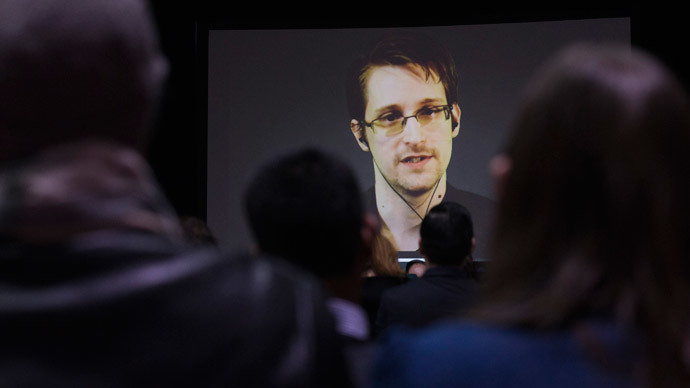 Millennials from Spain, Italy, France and Canada said Snowden's actions were more likely to lead to more government openness in regards to surveillance. Others remained undecided. Young people across all 10 countries were not sure if Snowden’s revelations had an impact on global efforts to prevent terrorism. ‘More to help’ and ‘Not sure’ were the most frequent answers. The publication of the poll is rather timely. It shows that Millennials, who are going to make up a sizable proportion of voters in the coming years, are mostly against the surveillance techniques used across the world. ACLU reports that despite that the governments of Canada, France and Netherlands plan to expand their existing surveillance acts and increase their abilities to spy and collect data of civilians. Most countries have decided to use the US Patriot Act as an example. As the June deadline draws closer for the US Congress to vote on whether to renew the Patriot Act, technology giants including Google, Facebook, Apple and Twitter are calling on the US government to reform its surveillance efforts, asking to stop the bulk collection of data. The companies have decided to adopt new forms of encryption and tools to protect consumer privacy. Meanwhile an Amnesty International poll questioned 15,000 people from 13 countries across every continent in March this year and showed that nearly two-thirds said they wanted the tech-giants to secure their communications to prevent government access. In Hong Kong in 2013, Edward Snowden leaked the NSA documents, showing that the agency was collecting phone records and other web data of American citizens. He was granted temporary asylum in Russia in 2013. Having received a three-year residence permit in 2014, he continues to live in Russia.